Product prices and availability are accurate as of 2019-04-19 01:48:58 EDT and are subject to change. Any price and availability information displayed on http://www.amazon.com/ at the time of purchase will apply to the purchase of this product. 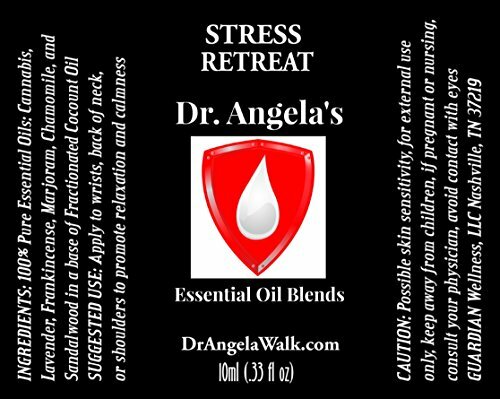 Dr. Angela's Essentials STRESS RETREAT Blend (Formerly known as STRESS LESS) is a combination of the highest quality and most effective essential oils for stress and anxiety relief. This proprietary blend is carefully combined to promote a sense of relaxation and calming, help ease anxious feelings, aid in stress relief, and provide patience, balance, and peacefulness. Stress Retreat blend also enhances concentration, sustains focus, and helps you stay on task. Enjoy the benefit of easily handling daily stresses. This blend also promotes a more restful, restorative sleep when applied at bedtime. 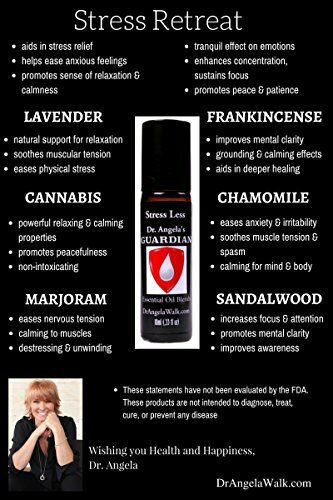 Cannabis Essential Oil is a very powerful oil and only small amounts are needed for it to have powerful effects. When essential oils are blended, their individual properties can be greatly enhanced. We have specifically chosen every ingredient to create a premium blend. Cannabis Essential Oil (Cannabis Sativa) is extracted from the cannabis plant and is processed through steam distillation. It renders a completely safe and legal substance. It is non-psychoactive and does not produce a positive drug test. Yet, it offers the same powerful benefits of the cannabis plant without the intoxication. Our Cannabis Oil Blend is not to be ingested. It is absorbed directly through the skin for localized benefit. SUGGESTED USE: Apply to wrists or back of neck at the first sign of anxious feelings to promote relaxation and calmness. 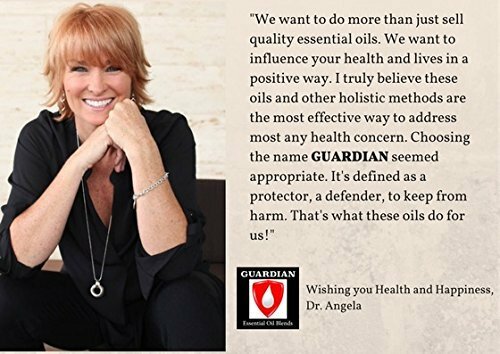 WHY CHOOSE DR. ANGELA'S Essential Oils?? Dr. Angela is a wellness physician in private practice for over 18 years. She specializes in women's health including hormone management, efficient fitness, and essential oil solutions. Choosing the SHIELD as our logo seemed appropriate. It's defined as a protector, a defender, to keep from harm. That's what these oils do for us"!